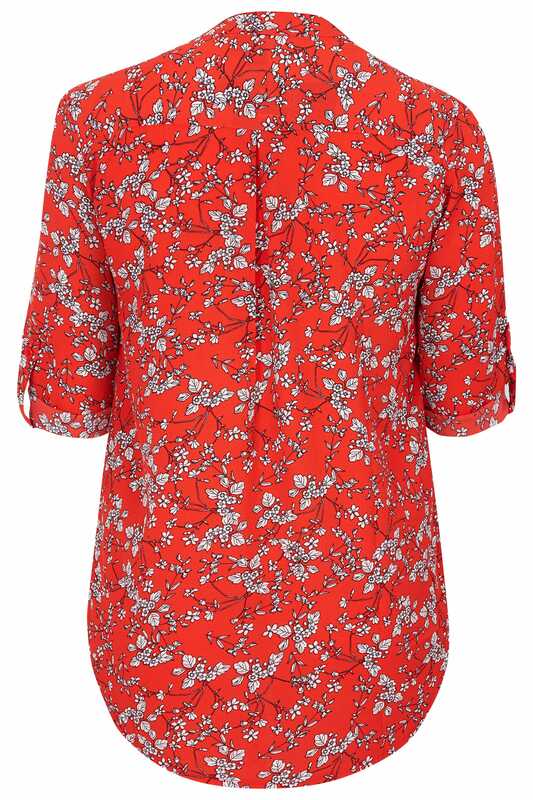 Front length from (approx): 67cm/26.3"
Back length from (approx): 80cm/31.4"
Meet your new work-to-weekend top. 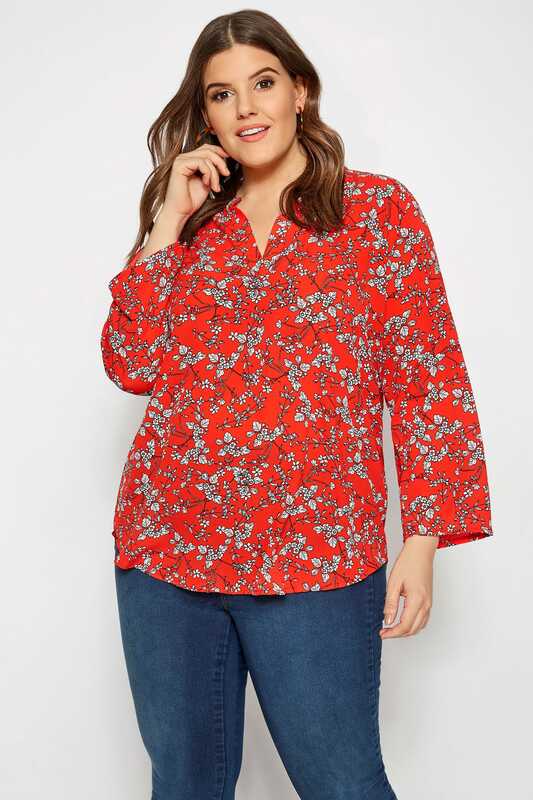 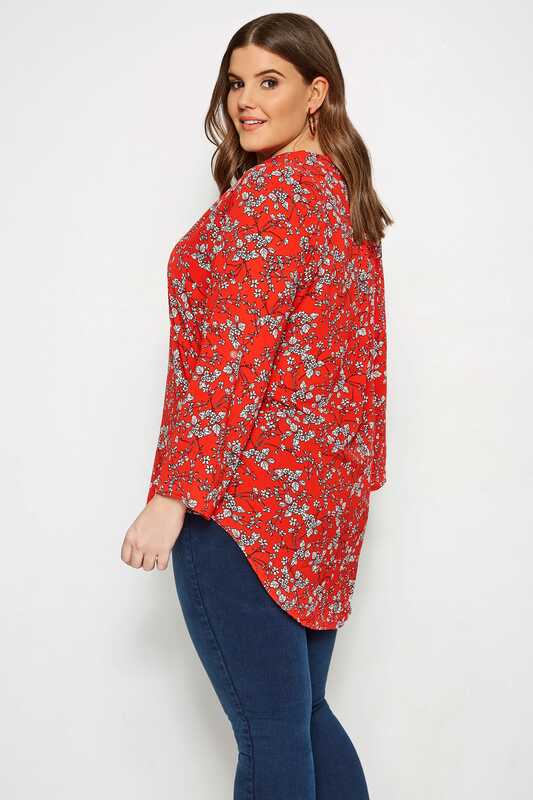 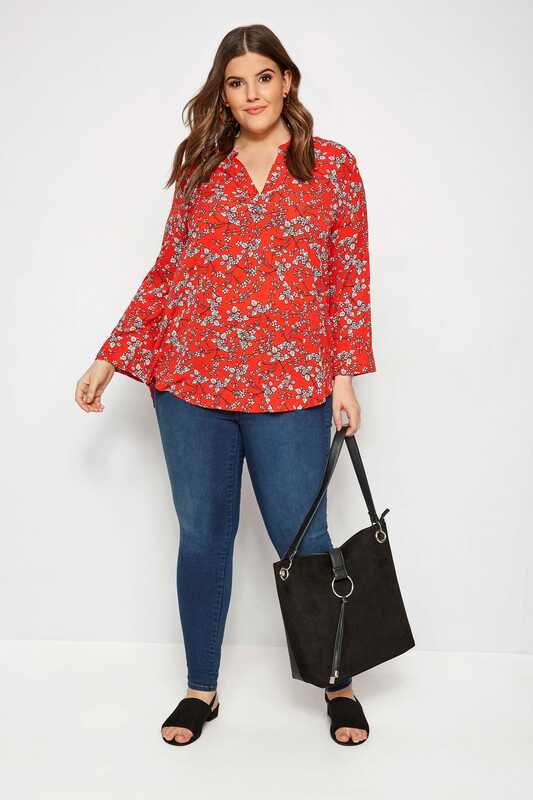 In a vibrant red hue, this floral blouse from Izabel Curve features a stylish notch neckline, full length sleeves and a flattering dipped hem. 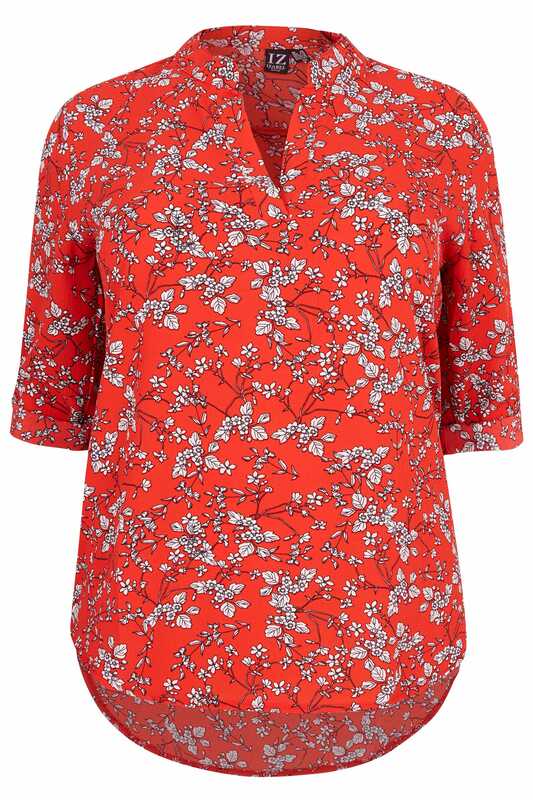 Stylish and bold, pair with black skinny jeans and heeled mules for effortless chic. 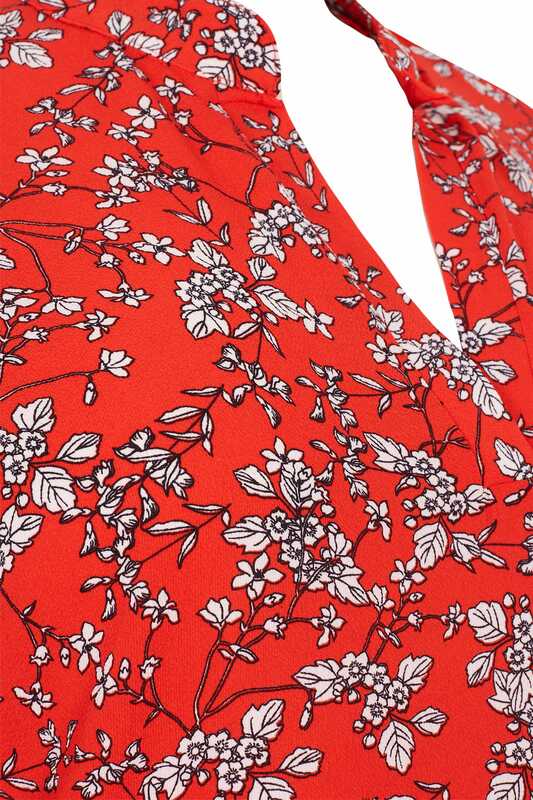 Say no to plain workwear.